Is it weird that I was so excited to write this post? Yes? Well, small things make me happy! 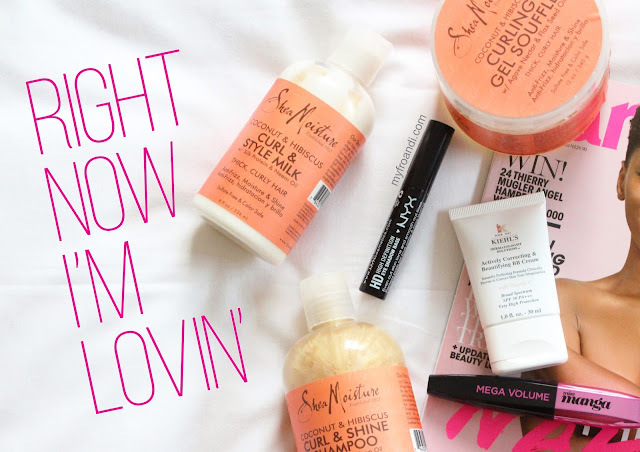 And this monthly beauty goodies segment is fast becoming a fave of mine. I kinda feel like these days many products claim to do certain things that they actually don’t. And by the time you’ve tried it it’s too late as you’ve already spent your hard earned cash on it. Huge let down. So when I come across fab things, or great deals, I love sharing it with…everybody. My friends, my family, ladies I meet on the bus. And of course: you. Here they are, some beauty finds I’ve been loving and one I’m not loving so much. 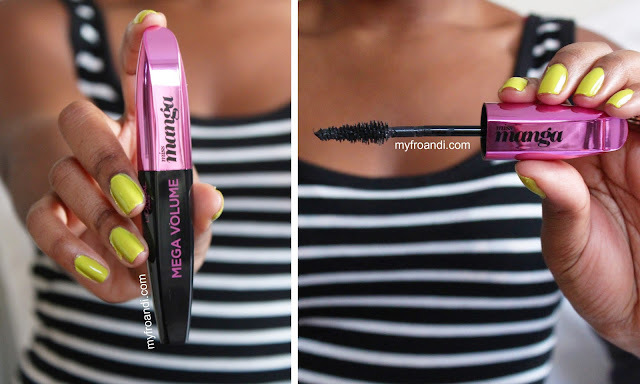 When I wear this mascara, I get asked by strangers what false lashes/inserts I’m wearing. At first, the wand is a little foreign looking. It’s not the normal chunky wand you’re used to getting with many mascaras so I was a but apprehensive because it has thin bristles. But after the dramatic difference in my lashes after the first swipe, I was hooked. I use it everyday on my top and bottom lashes for a statement look. One coat would be enough for the everyday makeup kinda gal but I love drama. So two coats it is. Great buy. lf you follow me on Instagram you’d know I’ve fallen head over heels for this range. Firstly, they smell delicious – sweet and fruity. I usually steer away from strong smelling hair products because of how they mix with ambient smells isn’t ideal. But these seem to play friendly with other smells so it’s forgiven. I’ve been using the entire range with my Daily Spritz exclusively for the past month and Fro is loving me for it. My hair is soft, bouncy and is showing off lil’ coils I never knew existed. They’re a bit on the high end price-wise but I really believe they’re worth every rand. You can get Shea Moisture in South Africa from Tender Loving Hair. l hardly wear foundation, only on special occasions. So my everyday routine consists of moisturiser with SPF, a BB Cream and powder to get a fresh look. 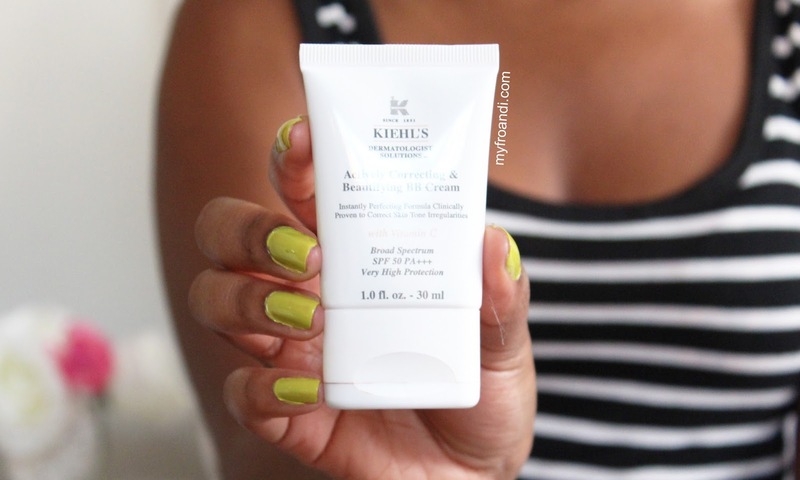 When BB Creams first came out in SA, it was slim pickings for us brown girls with only two or three brands offering shades to suit us. Now it seems everyone has one so I’ve been testing a few out. This new BB Cream from Kiehl’s wins hands down for me. It’s so concentrated you barely need more than two drops for your face. It blends in nicely and gives the right amount of light coverage I’m looking for. My favourite thing is how right they got the shading. It doesn’t leave my skin looking that horrible ashy-grey or oily. Love. You can get Kiehl’s from selected Edgars stores nationwide. I’m so surprised when I see some women haven’t clocked on to the amazing power of eyeshadow primers. Or if they have-still don’t use them. My friend in uni introduced me to a particular one that is sadly unavailable in SA. So when it finally finished I made it my mission to find one just as good. 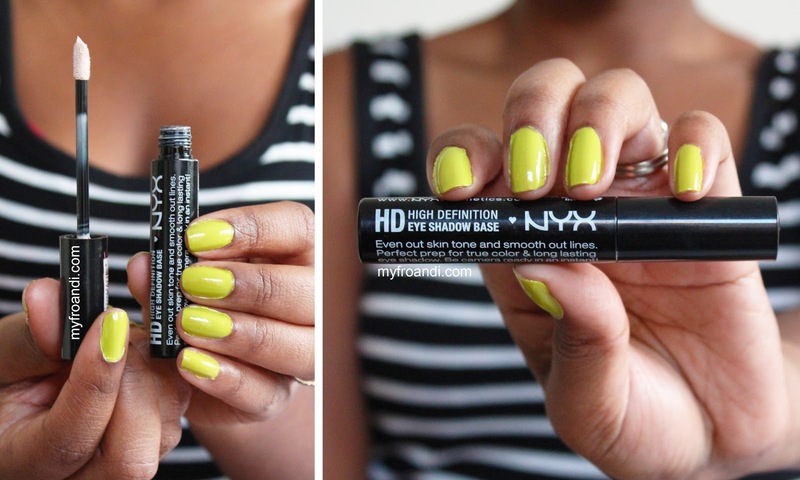 After a vigorous search, in came NYX’s HD Eye Shadow Base. Don’t be fooled by the pale colour, its creamy formula sets quickly and leaves your lids smooth while blending in with your skin tone easily. Then you’re ready to layer on the shadow, liner etc. I put this on and don’t worry that my oily lids will leave that dreaded crease mark. It lasts the whole day, even in summer and back home in Tanzania where humidity is real. A product that I can’t live without. I didn’t list individual products above because, well, I didn’t like any of them. Yes, the entire line – Fro is not a fan. The scent of all of them is way too sweet, the kind where someone could smell my hair first before my perfume. And unfortunately none of the products did what they say they would do for my hair. The shampoo dried it out, the spiral pudding was very gunky and the co-wash didn’t cleanse. The worst was that the products didn’t play well together (which I find odd in a line) and left a white film on my hair. Not a fan at all. Unless otherwise stated, you can get the above from Clicks or Dischem. What are some of your current beauty faves? I love the hibiscus cowash, if you haven't invested int hat.. do so.. quickly. I just got it! LOVE! Its so sad how having an afro can be expensive. maintaining an afro with products that cost less than R50.00 is near impossible. 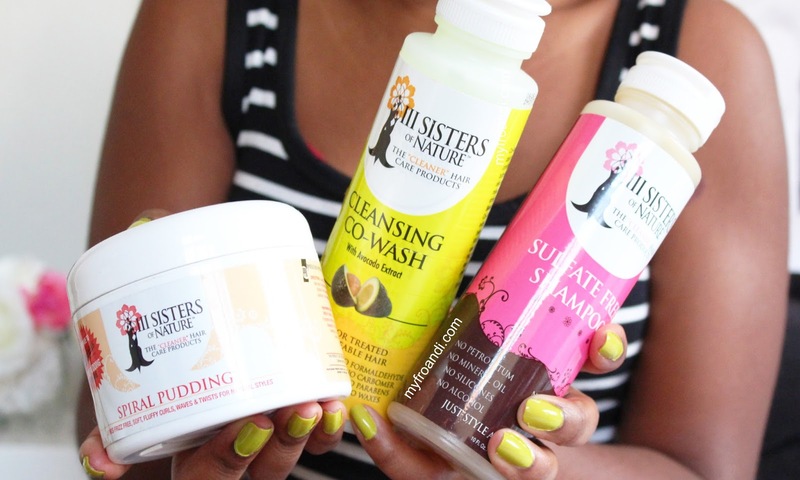 These natural products are so pricey & not always found in conventional stores. No wonder most people would rather burn their scalps with relaxers than go this natural route. Hey Thandeka, you make a good point and it's something that I'm sure many women are dealing with. My take is that unfortunately we don't have much competition in South Africa for quality products. The more competition, the more competitive prices. Having said there, there are a couple of more local brands who offer products for less (just not R50). Eg. Ruutos and Earthy. I hope time will bring the prices down significantly because more brands will be competing for the market. That shea moisture line is the business!! I'm not much of a make up person but your descriptive skills got me interested in that mascara.. Lol. 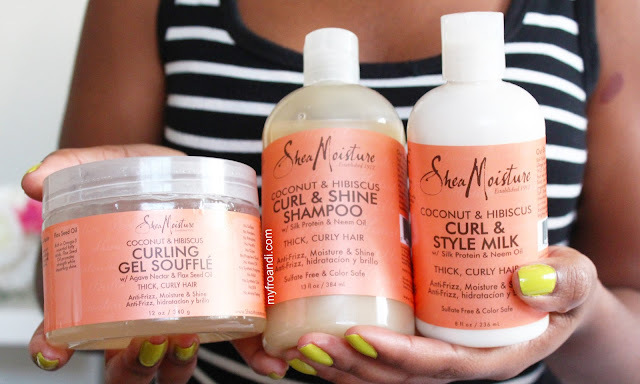 My favorite hair product this month has to be the Cantu Shea butter coconut curling cream. The fro LOVES it. I've never had so much fun with my hair.